On Saturday 26 August, it is National Dog Day – celebrating our canine friends all over the world. 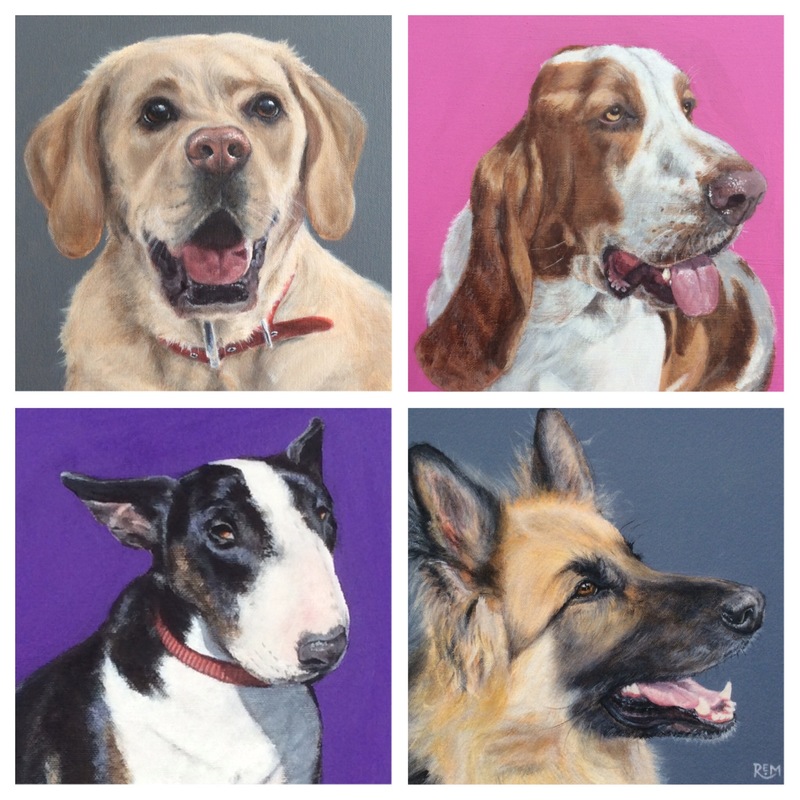 With that in mind, here is a collection of a few of my paintings of pooches who are awaiting their forever homes… or walls! 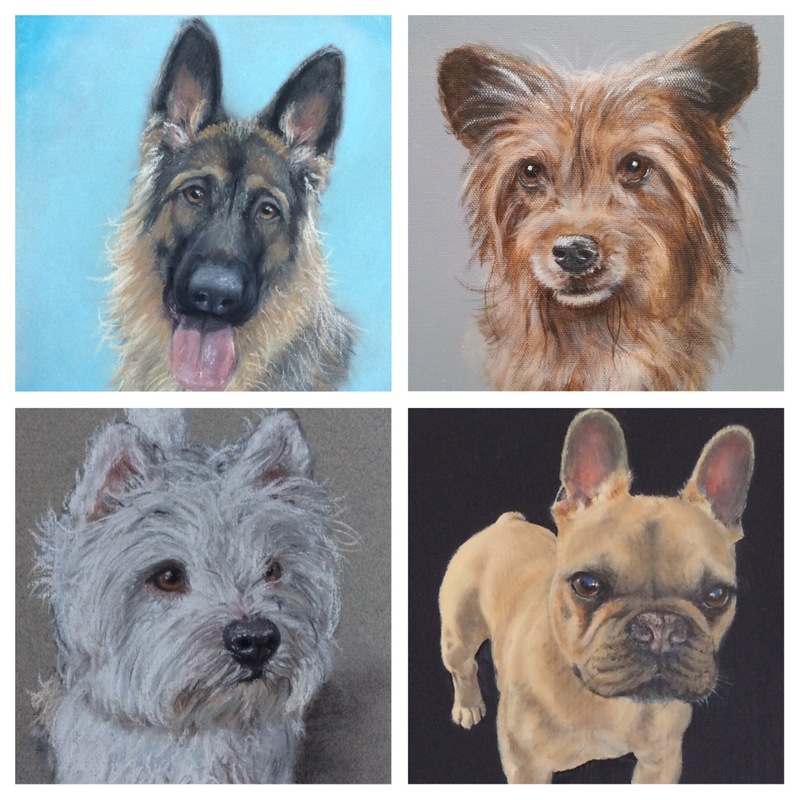 A mixture of breeds and all lovely characters who make, or have made, our lives just that bit more fun. Life is all about trying something new, different or out of your comfort zone, so with that in mind, I set about painting my first skull. I was given a Herdwick ram skull as a gift (hmmm?!) from a friend who had found it whilst out on a walk in the Lake District (U.K.). Herdwick are a tough breed of sheep well known in the Cumbrian fells and their beautiful wool is used in carpets as well as clothing. The painting was given to the skull presenter for her birthday…..thankfully, she loved it!